Two things you might not know: 1) Philip the Good, Duke of Burgundy, founded The Order of the Golden Fleece, and chose a sheep suspended in a ribbon as its logo. Brooks Brothers® adopted it as its own 420 years later. 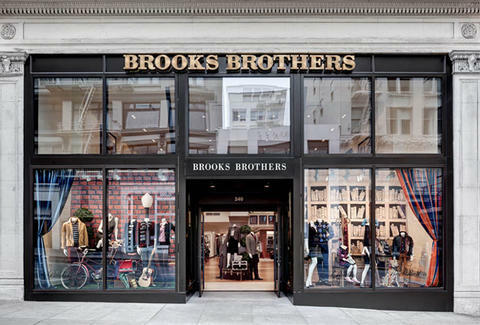 2) Brooks Brothers® has a new four-story West Coast Flagship in Union Square, inspired by its 100yr-old NYC store. Hit it, and you’ll find everything from the collegiate-inspired Red Fleece collection to the Thom Browne-styled Black Fleece collection, plus a “made to measure” department with your name on it. Or rather, your dimensions.